Avicenna is the Latinized version of the name “Ibn Sina” whose full form is Abu Ali al-Ḥusayn ibn Abd Allah ibn Sina. Avicenna was a Persian polymath born in the 10th century AD and was one of the most brilliant philosophers of the Islamic Golden Age. He was born in the village of Afshana which now lies in present day Uzbekistan but was then part of the Persian dynasty. His father Abdullah was an esteemed Ismaili scholar and his mother Setareh hailed from Bukhara, the capital of the Samanid Empire in present day Afghanistan. The main source of knowledge about Avicenna’s life is his autobiography which he ordained one of his students to write. Avicenna received his early education at his hometown. His brilliant mind and capacity for learning became apparent when he was just a young child and joined his father’s colleagues in their intellectual discussions. Everyone was amazed at his ability to memorize things and by the age of 10, he had learnt the Quran by heart along with numerous verses of Persian poetry. By the age of 14, he knew more than his teachers themselves. He devoted his time to the study of philosophy, logic, science, Islamic laws and the works of Euclid. He was extremely religious and spent long hours praying to God when he was baffled by a problem. He aimed to reconcile the principles of science and religion and wrote several short treatises on Islamic theology, including a discourse on the prophets and a scientific interpretation of the Quran. Around the age of 16, Avicenna undertook the study of medicine and just two years later, he had become a qualified and esteemed medical practitioner. His medical training came in handy on more than one occasion; once he cured Nooh Ibn Mansoor, the King of Bukhara, of an illness which other doctors had tried to cure but failed. The king was willing to reward Avicenna with as much wealth as he wished but he only wished to gain access to the grand library of the Samanids. Another time, he cured Shams al-Daulah, the King of Hamadan, of colic. He also wrote several important works on medicine such as ” Al-Qanoon fi al-Tibb” or “The Laws of Medicine” which comprises 14 volumes and was used as the standard medical textbook in both Europe and the Islamic empire up until the 17th century. In it he discussed contagious and sexually transmitted diseases, infections, theories and practices of good hygiene, and details of tuberculosis, diabetes and several other ailments. Another one of his major works was “The Book of Healing” which is a discussion on logic, natural sciences, mathematics and metaphysics. 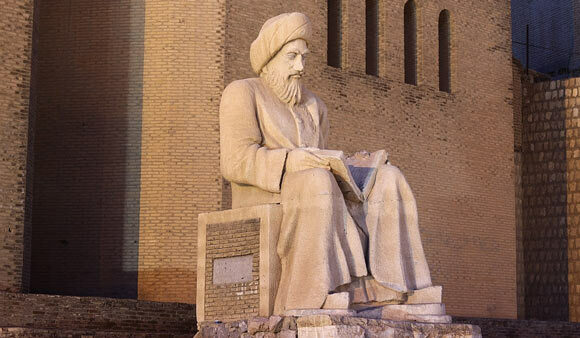 In all, Avicenna is believed to have written more than 400 works of which 250 have survived. Of these 100 are of a philosophical nature while 40 are medicinal texts. Other than “The Laws of Medicine” and “The Book of Healing”, some of his major works include “Book of Salvation”, “Divine Wisdom”, “Book of Sum and Substance” and “Book of Virtue and Sin”. Most of his work is in Arabic, despite the fact that his native language was Persian. This was because Arabic was considered to be the language of intellectuals at that time, and most books of learning were written in Arabic. Other than medicine and philosophy, he made several important contributions to the fields of mathematics, physics, music and astronomy, to name a few. He studied the different forms of energy and the concepts of heat, light, force, vacuum and infinity. Avicenna’s health had begun to fail from extensive travelling as he spent the last decade of his life travelling with Muhammad ibn Rustam Dushmanziyar, a ruler of the Kakuyid dynasty for whom he acted as a physician and general advisor. He died at the age of 57 and was buried in Hamedan, Iran.